Worker safety is—arguably—the most important reason we encourage companies to purchase and install the correct overhead lift solution for their specific application. Protecting your employees is essential to the success of your operation, and safety rules are regulated by OSHA 1910.179. Overhead lift systems reduce lift accidents, improve workplace health and safety, reduce product damage, improve workflow, lower costs, and provide solutions to reduce environmental impact. They are also a great way to limit employees’ exposure to potential accidents caused by dangers like heavy lifting and forklift traffic. 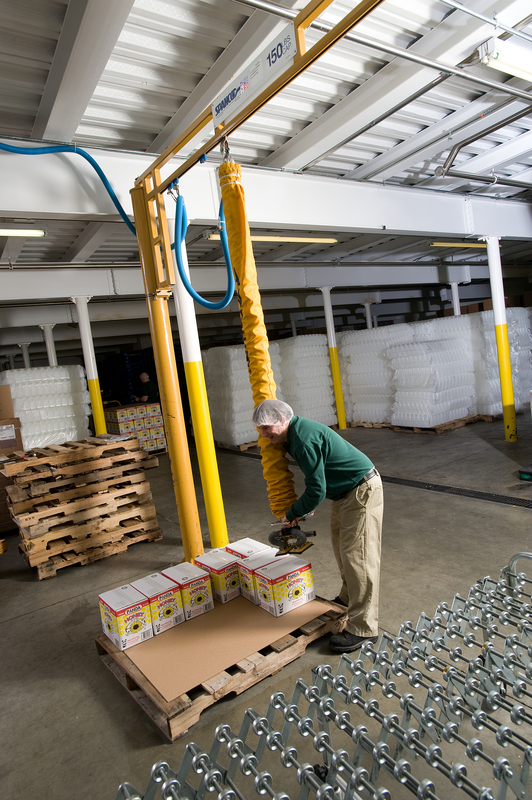 The purpose of overhead lift systems is to move products safely and improve efficiency. But, there’s another reason it’s important to install and use the correct type of lift system and keep workers as safe as possible on the job: the enormous costs associated with accidents. According to the National Institute for Occupational Safety and Health (NIOSH), American industry pays out 10 to 14 billion dollars in workers’ compensations costs and about 100 million work days each year. Over the years, it’s become more commonplace for workers to use material handling solutions to lift and transfer heavy loads. But, there is still a disconnect with light-load lifting. Today, there are still many companies whose workers lift “light” loads manually, contributing to the statistics of worker injuries. Even lighter loads weighting 25, 50, or 75 pounds can cause workplace injury due to the monotonous movement of the worker’s body as he or she lifts and transports materials. Installing an overhead crane aligned with your application’s specific needs will drastically decrease worker’s compensations costs and sick days, medical expenses, lost work time, potential law suits, and any applicable OSHA fines. It will also keep your workers safer as they move through their daily routines. Overhead crane systems are built to move product safely and limit employee exposure to forklift traffic and other cumbersome machinery. 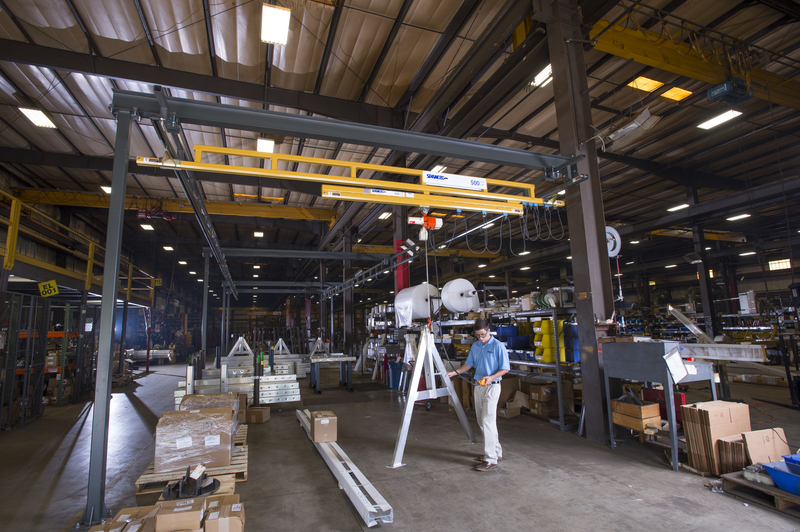 Using the right overhead crane system for your unique application is the most functional way to ensure safety and productivity. That’s because when you’re using a crane that fits your application, there is less product handling and less chance of operator error. In this way, valuable product is less likely to be damaged and workers are less likely to be harmed.